Is there a homeschooling family out there that isn’t living on a tight budget? I haven’t met one. Hunting down just the right materials to meet the needs of each and everyone of our child, on a budget no less, can be quite the challenge. I was recently given the opportunity to review a website that can help us all meet these challenges. It is the ChristianHomeschoolHub.com site, also known as CHSH-Teach.com. My familiy received a one year Subscription to their CHSH Download Club . CHSH-Teach.com is an amazing subscriber based website brimming over with over 50,000 downloadable pages of educational goodies! This website was created by a homeschooling mom and former school teacher named Lynda Ackert. Amazingly she’s created most of the materials the fill the site. You’ll find so many treasures for your children from the preschool age all the way through high school in a wide variety of subjects. There really is something for everyone! Truly my description here is going to fall very short of the true value and richness this site can offer your family. Check this out too, I think this is pretty unique, of course content is regularly added but those who are members of the Download Club can also upload their own creations to share. Let me show you few screen shots of just a sample of the subjects they offer. And let me tell you, even these screen shots do this website an injustice because everything you see is a clickable link that brings you pages and pages of more options and more links to click that bring you to even more content. I’m not even scratching the surface here. They also have the website sorted out by grade, by months of the year, and they have sections of content that will you get organized. How we used this website! The uses for this website are pretty limitless and I struggled at first with where to start. What I decided to do was find something that met my family’s most pressing need first. My 6 year old Joyanna is in need of some site word practice and I was able to find just the thing. It only took a few minutes for me to locate some Dolch site word flashcards… here is a little sample. We reviewed her site words with the help of these flashcards for several days and her reading fluency was greatly improved. I loved that I didn’t have to take the time to make them up myself. I just printed them on some cardstock, cut them down, and away we went. Some people might have laminated them. Next I thought of my son who is in constant need of reviewing his multiplication facts. I found several fantastic games to help us do just that but I settled on one. It is a fun and quick game that brings about quite a few giggles while the children have to quickly work through the answer. A definite hit! While researching the math fact game I found this great wall poster on fractions. My other son is studying fractions soon. I printed that baby out and I WILL be laminating that one! Next I found these things called Monthly Learning Packets! My 6 year old does have her own full curriculum but some days she finishes so quickly compared to her older brothers that she just wishes she has more. I downloaded the first day packet and put it in a binder for her. Problem solved! Here is a little preview. There are over 200 pages in each of these packets! Now my daughter pulls out her bind and flips to a page that looks interesting to her. I might read the directions so she understands what to do. One thing my family loves to do is literature studies. I was delighted to find so many… take a peek at just a few in the elementary age rang. We happened to be finishing up rereading Little House in the Big Woods so I downloaded that one. It is 18 pages of reading comprehension and discussion questions. Some questions are quick multiple choice while others are more long form. It was a great little companion to our reading. Each and every time I log into the site I think, “Oh, we should do that and we should do this and I wonder if I can make time for that.” This website could be ALL you need to homeschool. It is that good! This website currently only costs $25 annually or $99 for a lifetime subscription. 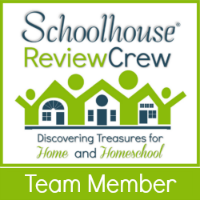 This site could save you hundreds if not thousands on homeschool curriculum. It is an amazing value.